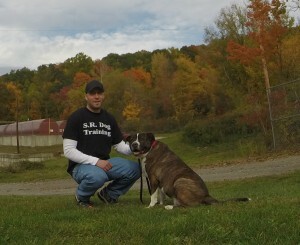 Steve Reid is the premier choice for Certified Dog Trainer in Putnam County NY. Having helped hundreds of owners live a happier life with their dog, I am one of the few dog trainers in Putnam County NY who work with dogs of all breeds, ages, and sizes. If you are looking for a dog trainer in Putnam County NY who has a proven track record of success, experience with hundreds of dogs, and a following of happy owners, then contact me to find out how I can help you and your dog. 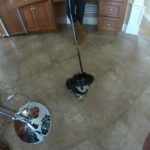 Sophie is a happy and playful Havapoo puppy, whose owner contacted me for early puppy training. 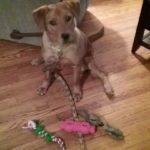 Sophie’s family understood the importance of proper training, so she sought out the best dog trainer in Putnam County NY, and contacted me for my specialized in-home puppy training program. As with all my puppy clients, we focused on housebreaking, puppy biting, and basic obedience commands. These are the fundamentals that all puppies should learn at an early age. Once you no longer have to worry about arriving home from work to find an accident on the floor and know how to handle your puppy’s incessant biting and mouthing, you will be well on your way to living a stress free and happy with your new dog.